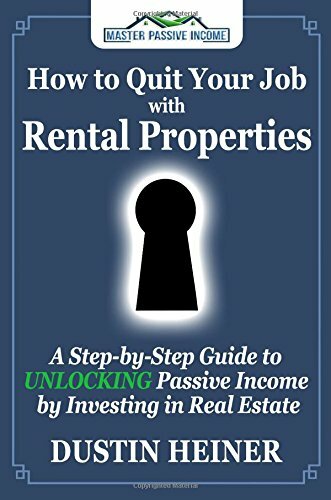 [PDF] How to Quit Your Job with Rental Properties: A Step-by-Step Guide to UNLOCKING Passive Income by Investing in Real Estate | Free eBooks Download - EBOOKEE! Posted on 2017-04-08, by luongquocchinh. Description: The problem that affects almost everyone today is being stuck in a career they hate. People are conditioned to work their lives away for someone else and only get paid for the hour they work. How would you like to quit your job today because you have enough passive income to live off of? Follow the proven path to financial freedom that many have already successfully navigated. How to Quit Your Job with Rental Properties is written by Dustin Heiner, an active real estate investor who has created enough passive income to quit his job. He is the author of the popular passive income idea website . This book contains step-by-step training to help you acquire rental properties to allow you to quit your job and be financially free so you will never have to work again. Designed for the newbie or seasoned pro, anyone will learn how they can earn passive income from rental properties and quit their job. In this book you'll learn how to: Develop a mindset that will help you focus on building passive income How to stop trading your life hours for dollars and make money as the rich do Understand how rental properties are the best passive income generators Step-by-step process of how build your rental business from the ground up The four ways rental properties make you money How to get at 780% return on your money How to make monthly cash flow to exceed your expenses Step-by-step process of finding your first rental Ultimately be financially free with passive income in rental properties Build your financial future with passive income in rental properties and quit your job! 2017-10-22[PDF] How to Improve Your Business with Better Customer Service!! No comments for "[PDF] How to Quit Your Job with Rental Properties: A Step-by-Step Guide to UNLOCKING Passive Income by Investing in Real Estate".